Today’s post is written by Deirdre from Chic & Boutique Wedding Venues. 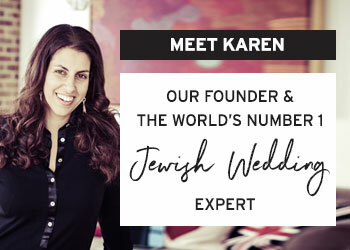 Deirdre curates only the coolest, hippest and most fabulous wedding venues, and I’m thrilled that she’s picked out 10 extraordinary London spots covering every kind of style, for capacities of 25 all the way up to 700! London is filled to the brim with beautiful, elegant and unusual wedding venues, but it can be difficult to make that final decision without a good filter. 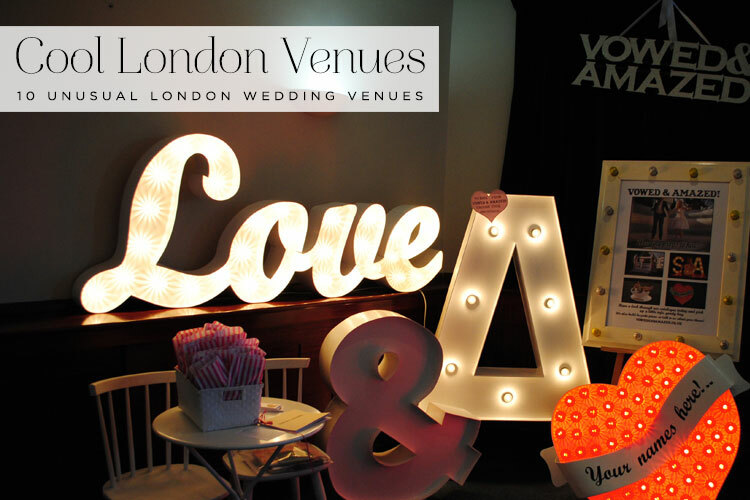 We’ve vetted and selected these 10 unique, chic and boutique venues, all located in London, and all as eclectic as the brides and grooms to whom we aspire to appeal. 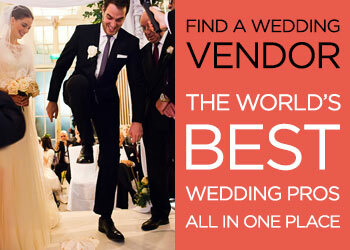 Tuck in to our list and find that perfect spot for your wedding! Flamingos and Mandarin ducks thrive in an abundance of nature on the roof of number 99 Kensington High Street, – super cool, right?! 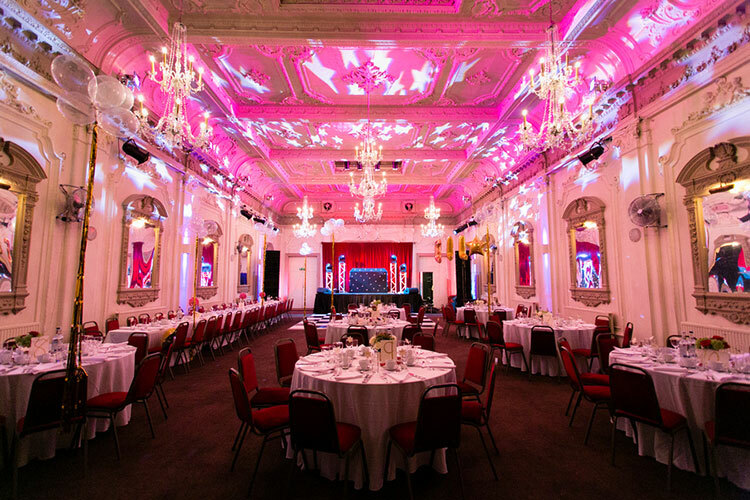 In the heart of London there’s an oasis of ‘wow’ for when you want to create a wedding with charm, originality and elegance. 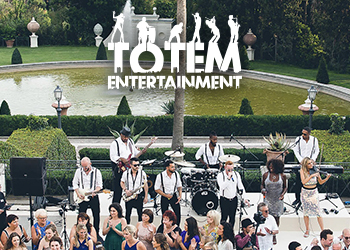 Have a look at this real wedding at Kensington Roof Gardens as an example! The Gardens include The Spanish Garden, based on the Alhambra in Granada which has a distinct Moorish flavour; The Tudor Garden which uses red brick walls and four Tudor style arches to take you back to another age, and The English Woodland Garden which blooms with colour when thousands of narcissus, crocus, muscari, snowdrops, and bluebells burst into life every Spring. The English Woodland is also where the birds live including Mandarin and Carolina Wood Ducks which are native to the Southern hemisphere as well as the star resident Flamingos. 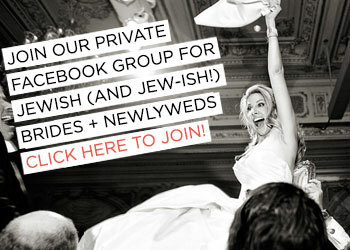 You can tie the civil knot in its stunning indoor wedding venue and then have your religious ceremony in one of the beautiful gardens with a traditional chuppah. The Roof Gardens is also great for small or large weddings as it can host standing receptions for up to 500, sit down dinners for 200 or a more intimate wedding for only 50. London’s Kensington Roof Gardens is a venue that gives you the best of both worlds: a garden setting with a convenient central London location. Kew’s Palm House is a vast, light, lofty space that accommodates enormous tropical large palms, boasts 16,000 panes of glass and is considered the most important surviving Victorian iron and glass structure in the world. The Palm House is a truly original backdrop for your wedding that could take place in one of the four following venues on offer at this multi-venue location. First is Cambridge Cottage, which is the former royal residence of the Duke of Cambridge. Within the cottage grounds is the Duke’s Garden which is perfect for outdoor drinks, photographs, summer barbeques and garden parties. A chuppah would look perfect here too. The Garden comes with the Drawing Room, licensed for civil ceremonies for up to 80 guests and the adjoining Gallery housing beautiful botanical artwork which can also accommodate 80 guests for a sit down dinner. Alternatively both rooms and the garden can be hired for a standing reception of 150. There’s also the Nash Conservatory which is licensed for civil ceremonies for up to 200 guests. 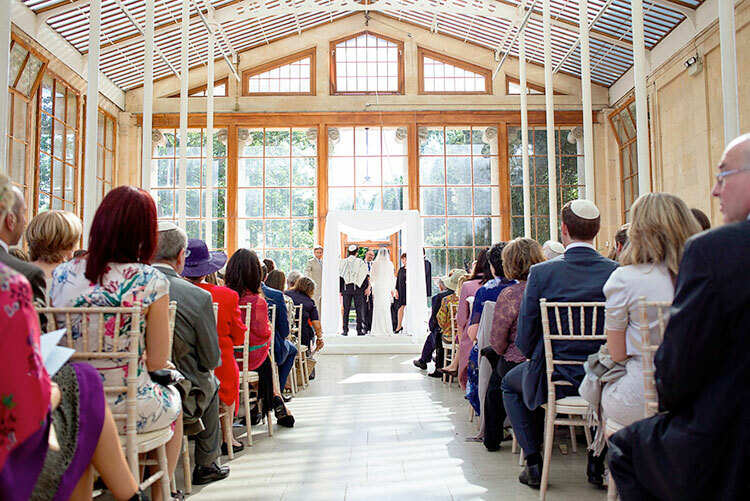 If desired, the Nash Conservatory and lawn may be used to erect a chuppah for a religious ceremony, followed by pre-dinner drinks before moving on to the Orangery for an evening wedding dinner and dance. Other venues available for hire at Kew Gardens include The Princess of Wales Conservatory and The Orangery. I’m literally obsessed with this spanking new venue in the the heart of the old East End of London, Shoreditch. Once the Old Street Magistrates’ Court and Police Station—where notorious East End gangland brothers Ronnie and Reggie Kray were once held, this Grade II listed Baroque styled building has been transformed into a £40million luxury hotel, the Courthouse Hotel Shoreditch. Steeped in history, the 128-room Courthouse Hotel Shoreditch offers guests a rather more comfortable stay than the cells which held the notorious Kray twins, as well as a heated indoor swimming pool, a 196-seat cinema, a luxury spa, a bowling alley and a sky terrace overlooking London. 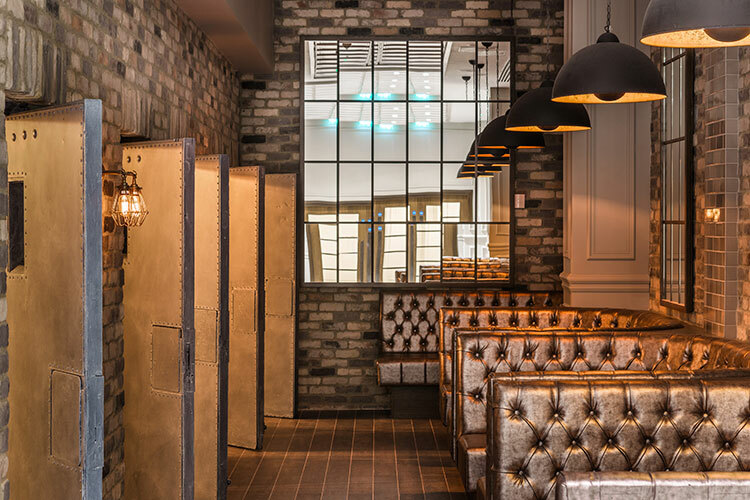 Five of the notorious former magistrates’ court’s cramped 5ft x 15ft cells have been transformed into a bar area, and guests can have a tipple in the spot where the Krays appeared at their first criminal hearing in 1965. The holding areas, three of which are named after local criminals, still have their metal reinforced doors in tact and one even features a hard bench and commode used by prisoners. With a maximum capacity of 900 and with so many luxury and unique facilities this stunning hotel is the perfect venue for a large wedding, honeymoon or hen/stag weekend; it’s in a great central location to boot. When you think of a Dancehall you think of London and one of its most popular music scenes. And when you check out Bush Hall you know this was, and still is, the most decadent Dance Hall of its day. Nestled in the heart of Shepherds Bush, the Hall is a jewel in the crown of West London proper. Built in 1904, it was a grand dance hall through the Roaring Twenties, subsequently suiting various purposes thereafter including soup kitchen duty during WWII and a Mod rehearsal space for the likes of The Who. Since then it has been lovingly restored to its former glory as an Edwardian dance hall. Even more cool is that Bush Hall is still an independent live concert venue boasting Adele, Amy Winehouse and Florence & The Machine as previous performers. 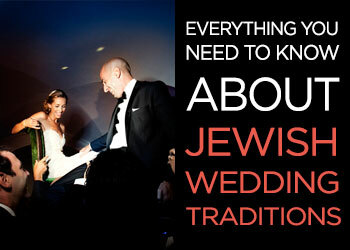 A wedding licence isn’t held, however blessings, chuppahs, and private ceremonies are welcomed.